ModBargains.com provides APR Performance Carbon Fiber Rear Deck Spoilers for Audi A5 2007-Up. Call to speak to one of our Modification Specialists @ 714-582-3330 and start your savings now! 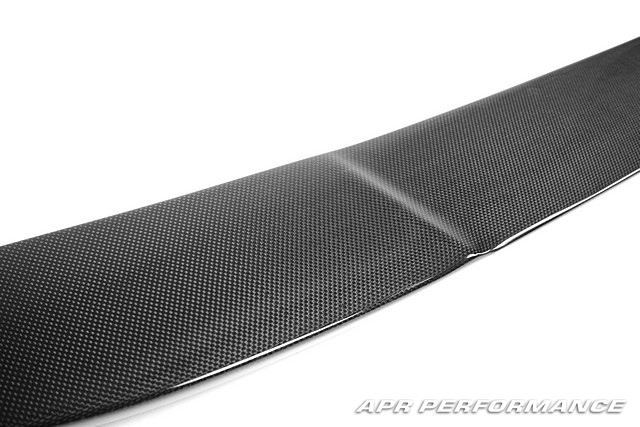 APR Performance's Carbon Fiber Rear Deck Spoiler for Audi A5 2007-Up is used primarily to reduce rear end lift and increase downforce for more precise and stable handling performance at high speeds. 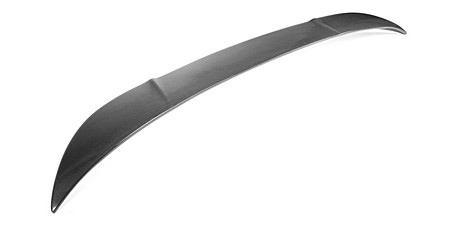 This wing, when used in combination with other aerodynamic components, can be very effective in decreasing drag and keeping a consistent high pressure air flow surrounding the outside of your car. And even by itself it can add quite a bit of downward pressure on the rear end of your Audi A5 and increase grip and cornering speeds at the track and on the road. And on top of all of the performance characteristics that this spoiler enhances, there is also the aesthetic beauty that this wing portrays to both the driver and the other people around the car. The glossy carbon fiber construction gives your car a sporty, yet refined, look that stops people dead in their tracks. APR Performance's Carbon Fiber Rear Deck Spoiler for Audi A5 2007-Up really does it all and retains its value for the life of your car. So if you're looking to get an APR Performance Carbon Fiber Rear Deck Spoiler for Audi A5 2007-Up, give ModBargains a cal at 714-582-3330 to make an order and schedule an installation appointment with our modifications specialists. We're ready to give you the opportunity to get the mods that you've always dreamed of.